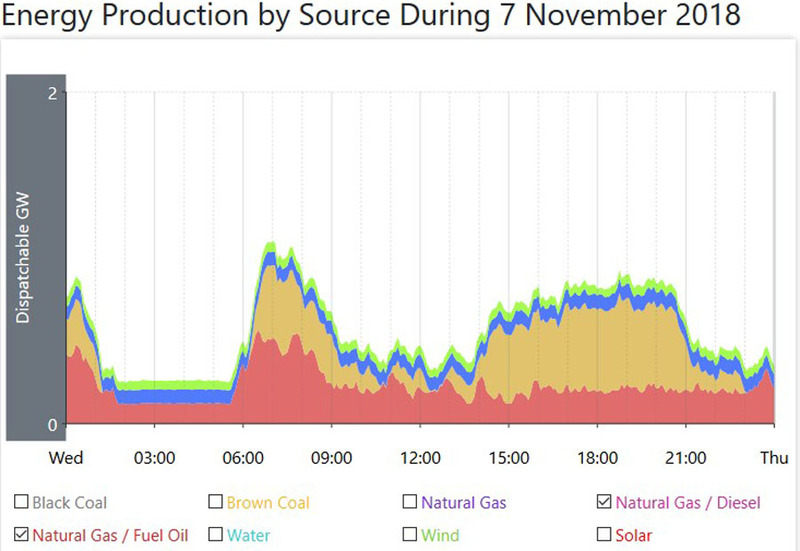 Overall power consumption, and from that, power generation, was slightly lower on this day, lower by 400MW to 23000MW. 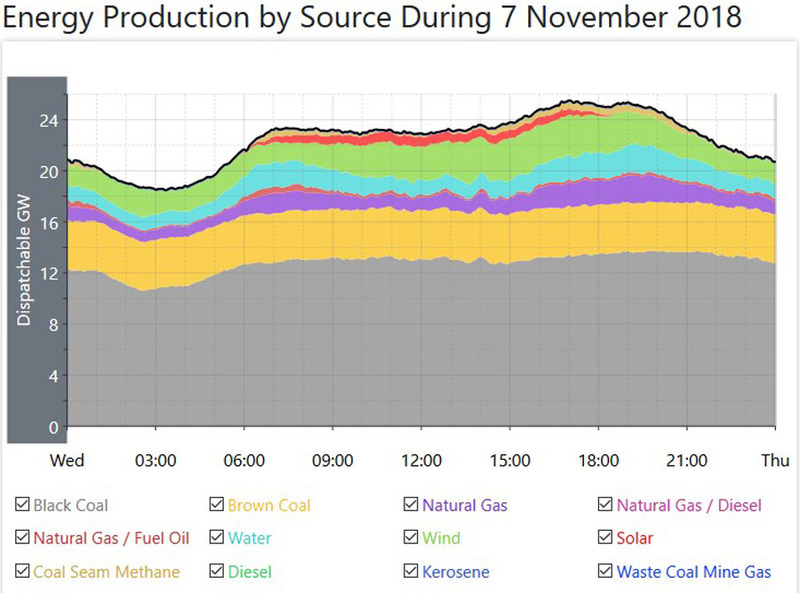 Even with a lower overall power generation, the average for coal fired power rose on the day, up by 390MW to 16680MW. 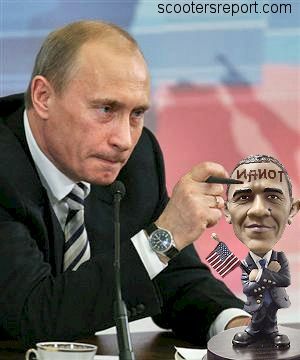 The problems of yesterday were behind them. Some of the plants which have been off line came back on line today, and another went off line. 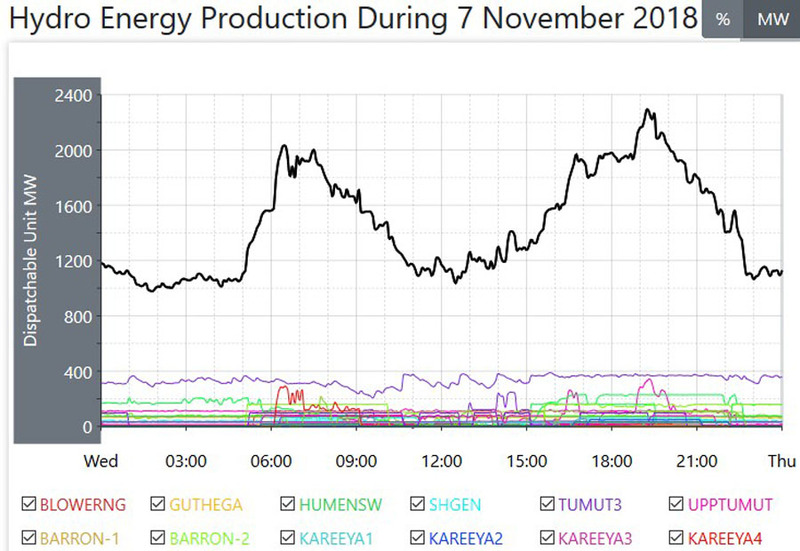 One of those old Units at Liddell n New South Wales came back on line at 3AM and ran back up to full power by 9AM. 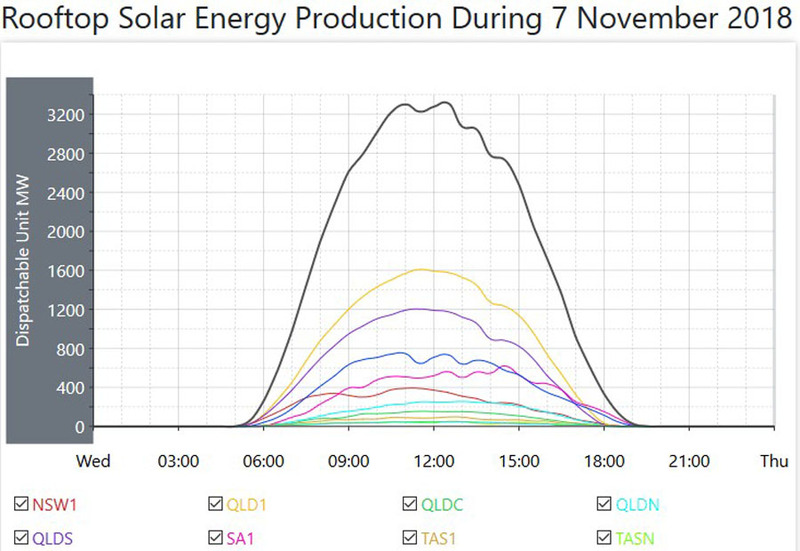 In Queensland, the Number One Unit at the Gladstone plant came back on line at around 6AM, was taken up to full power and an hour later settled back to half output. 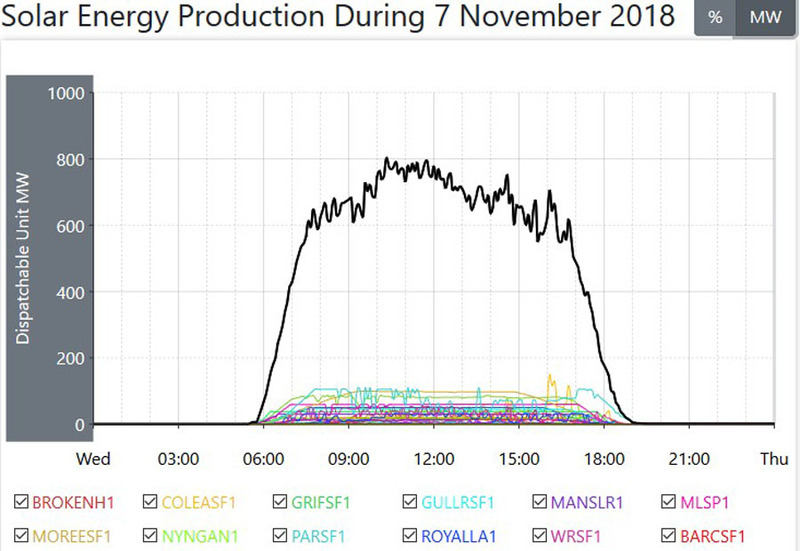 also in Queensland, Unit One at the modern Milmerran plant came back on line at 5AM, and took 13 hours to be carefully taken back to full power output. 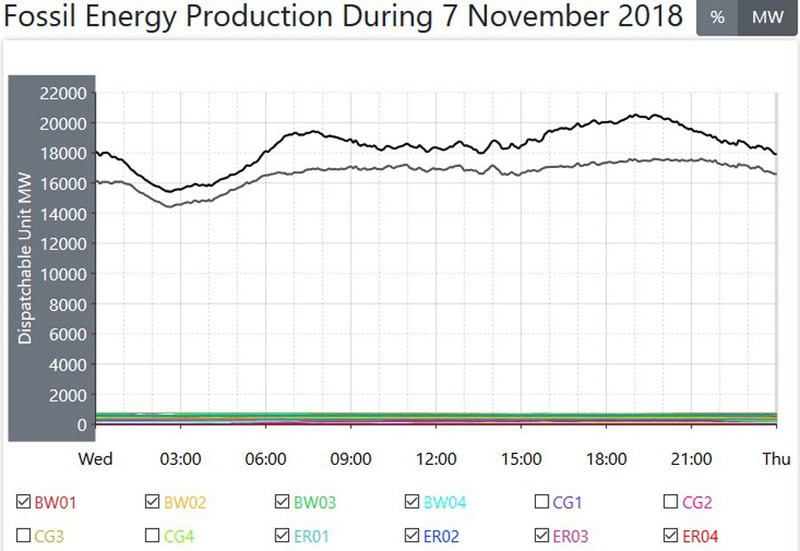 So, all up, there are still nine of those coal fired Units off line, and with more of them back on line, then that accounted for the rise in the average for coal fired power. 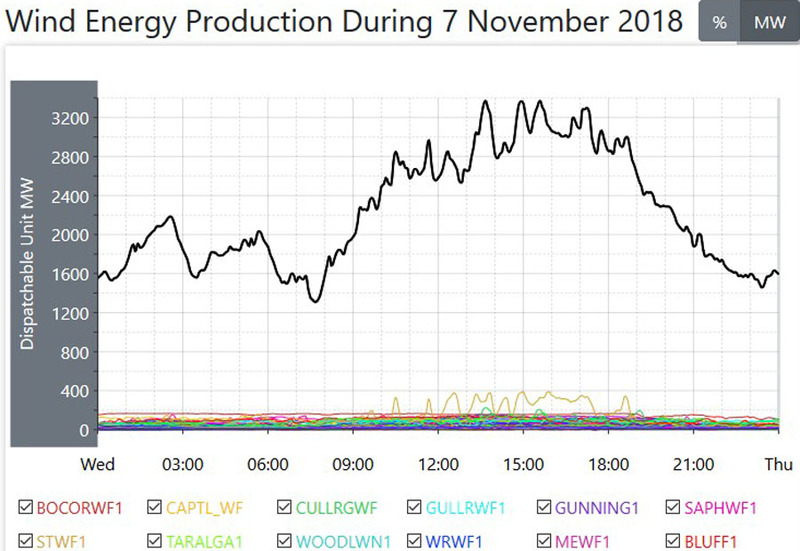 There was a large fall in the average for natural gas (NG) fired power, not needed as it was during yesterday’s outages in the coal fired sector, and that average for NG was down by 570MW per hour on the day. 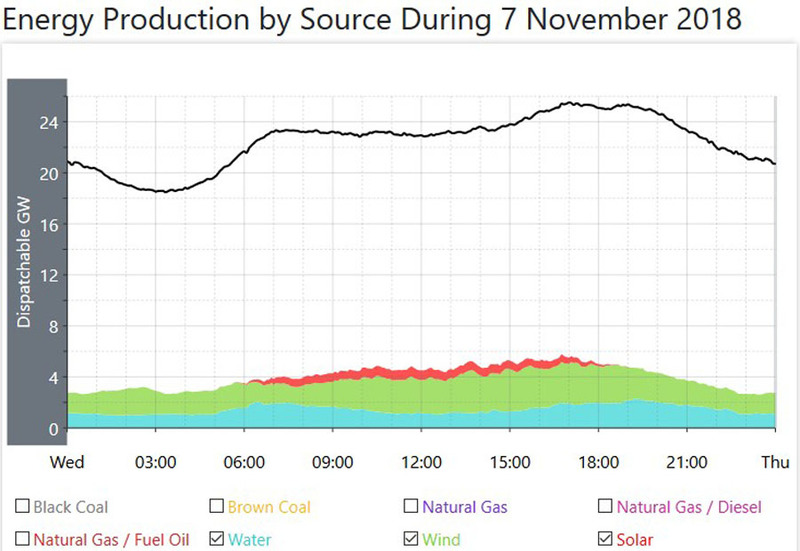 The power delivered from those smaller Other sources was lower by 220MW from yesterday’s high, down to 600MW. The average for hydro power was also down, by 240MW, and the average for solar power plant power was also down (by 50MW) due to heavy overcast and rainy conditions in areas where there are those solar plants. 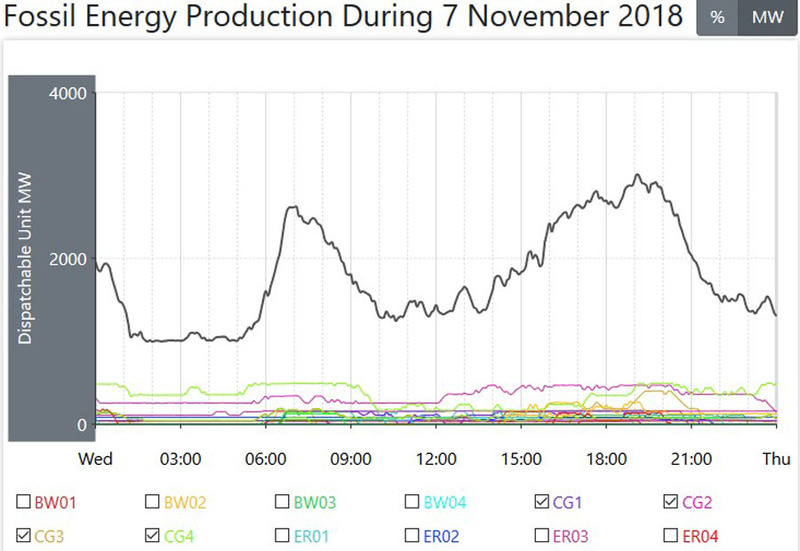 The average for wind power was higher on the day, up by 290MW to 2200MW, giving wind power a daily operational Capacity Factor of a tick over 40%. 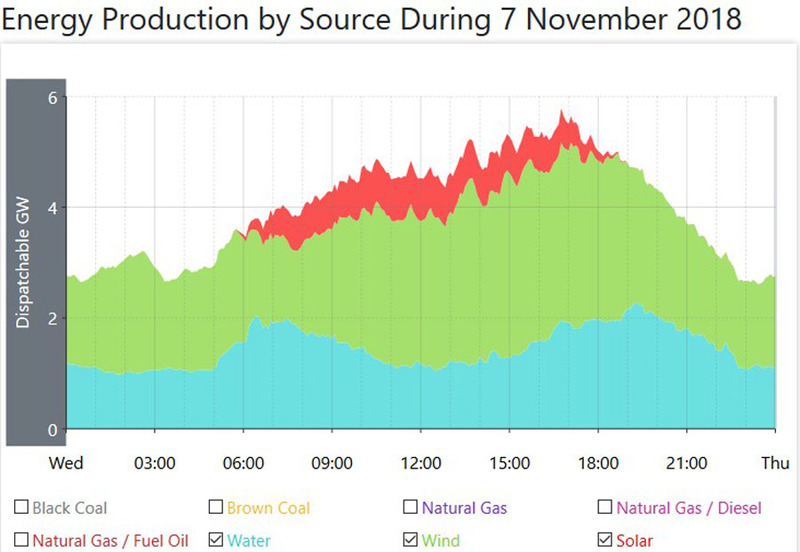 On a day when overall power generation was lower, and coal fired power higher, that coal fired sector delivered 72.5% of all the generated power.